Metal lips are so in right now! Lots of brand are coming out with metal series but most of them are international, proudly a local company here in Malaysia came out with these! I'm so excite to try them as I never tried any metal lipstick before. So this is pretty fun! They came out with 2 more new shades along with their brown shade collection. Here I am reviewing the metal shades that I got. There are 4 shades, they have a metal finish but dried completely matte. The first shade is Rose Metal, the lease metal effect from all the metals shades here. It has a deep burgndy base with a nice shimmer in it. Second is Copper metal, super creamy and opaque. Third is Gold Metal, not that pigmented, pretty sheer but with a few layers it can be more opaque. What I love about this shade is that it has this duo chrome kinda effect. When you "move" it has a rose gold to gold shade that looks suppperrrr pretttyyyyy! Lastly is bronze metal. A brown undertone metal shade, A more natural shade than all other 3 shade from my opnion. They are creamy, easy to apply and dries to matte. 1 layer is enough, 2-3 layers can make you feel a bit uncomfortable. They are long wearing and I could say kiss proof too! Does not transfer easily. I can't get enough of how pretty the Gold Metal are so I use it as an eyeshadow. It dries matte and feels like wearing a cream eyeshadow on the lid. Stays put and does not crease yo! 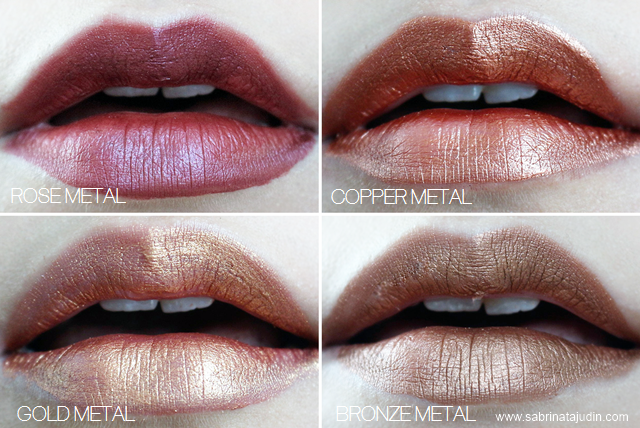 I also use the Rose metal on the outer part of my lips and blend it in the center with Copper Metal shade. 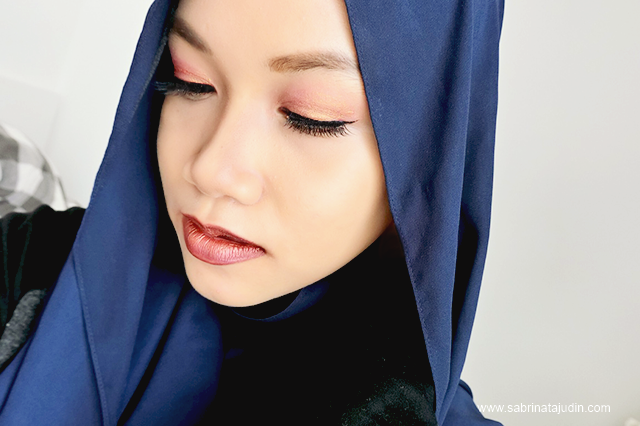 Each liquid lipstick retails for RM40. More colours other than these metal finish are also available! Omg I'm so buying this! does the formula feels like colourpop ? Hi how long lasting are they? Would they last an oily meal? What about the longevity of matte shades from this brand? Is this line still available? ?